Ben Johnson recently wrote a great article about the damaging effects of the Gardasil (HPV) vaccine. In his article, he talks about women who have died, 96 to be exact. And those are just the ones that have been reported. He talks about women who have lost their fertility after receiving the highly regarded HPV vaccine. But the main focus of the article is how the Gardasil vaccine is being heavily promoted to the African-American community through ad placement on BET (Black Entertainment Television). When I read his article, my conspiracy alarms went off. Now, I’m not a conspiracy theorist (although I find people who are quite entertaining). But when I heard about these ads, my memory was triggered. Of course Planned Parenthood is trying to target minorities with this vaccine…they are getting big reimbursement for injecting their low income patients with this dangerous drug! Then I knew I had to write this article about my own experience inside Planned Parenthood regarding Gardasil. When Gardasil came out, Planned Parenthood was PUMPED. “Such a wonderful way to serve women,” they said. “This will help prevent cancer for so many young women,” one of my coworkers raved. But then I heard the real reason behind the excitement, “We are going to make so much money off of this vaccine.” Bingo. Of course they were excited. Each injection was going to cost around $200, and women have to get three to be “fully protected.” Six hundred dollars for a vaccine. That was a lot of money. But then I thought to myself, “Our clients don’t have $600 for a vaccine. This is going to be a huge flop.” What I didn’t know about at that time was the “Merck Vaccine Assistance Program.” Merck is the manufacturer of Gardasil. This program would pay 100% for the cost of the vaccine itself. Our patients would just have to pay a little $30 “injection fee” per vaccine. Ninety dollars versus six hundred was definitely doable. Next we were instructed to offer Gardasil to EVERY woman age 11-26 who walked through our doors. “Oh, you are here for a vaginal infection? How about a vaccine, too?” “Oh, I see you marked that you had Herpes and need treatment. 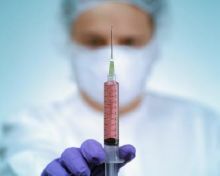 Well, you better get this vaccine so you won’t get genital warts, too.” These may seem funny, but it was seriously how we were told to sell this vaccine to our clients. So, we started signing people up by the dozens. We faxed off countless applications for the “Vaccine Assistance Program.” Almost everyone was approved (most of our clients were low income). We were running out of vaccines. Those little bottles were flying off our refrigerator shelves at around $170 a piece, for which Planned Parenthood was being reimbursed by the Merck program. I’ve never been of the belief that Planned Parenthood operates solely out of racism, but strictly sees money-making opportunities and goes for them…unfortunately, that is usually at the expense of minority women. I don’t know if any of these women came back in with complications. I don’t know if they presented to the ER with problems. It’s not like we did any follow up. Heck, I don’t even know if they got all three doses. My gut tells me that 80% of them did not. Back to the conspiracy idea. Planned Parenthood just ran a series of ads promoting Gardasil on BET (Black Entertainment Television). Ninety-six women have died, several have experienced sterility, and yet Planned Parenthood launches a big campaign targeting the African-American community? The pro-life movement has talked for years about how Planned Parenthood targets our minority community in the United States. And even if we totally scrap the fact that the founder of Planned Parenthood, Margaret Sanger, was a raging racist we can still look and find racism inside of the organization. I’ve written before about the document that we were NOT to talk about inside of Planned Parenthood…the “Jaffe Memo.” Here is my article about that memo and what it entailed. This document was written in the late ’60s by a high level official with Planned Parenthood. You will notice some really interesting ideas in the document. “Fertility control agents in water supply” “Eliminate Welfare payments after first 2 children” “Encourage increased homosexuality” “Compulsory sterilization of all who have two children except for a few who would be allowed three” “Payments to encourage abortion” The document was proposed to the Population Council (a eugenics-based population control organization led by its first president, Frederick Osborn, who also served as the President of the American Eugenics Society). This was one of Planned Parenthood’s first attempts (after Margaret Sanger’s shenanigans) to reduce the minority population. We also know that currently over 70% of Planned Parenthood facilities are located in low income, high minority communities. We know that more than 50% of African-American pregnancies end in abortion. We know that Planned Parenthood has dumped tons of money into “Promotora” programs that go into Latino communities and convince them that Planned Parenthood is the ONLY place they can go for health care. And now, they are targeting these same communities for the dangerous Gardasil vaccine. I mean, am I crazy? How is it that rational people can’t see what Planned Parenthood is doing here? I’ve never been of the belief that Planned Parenthood operates solely out of racism, but strictly sees money-making opportunities and goes for them…unfortunately, that is usually at the expense of minority women. And the bottom line is that this will continue to happen until these minority communities wake up to the realization that Planned Parenthood is USING them to pad their bottom line. They don’t care about health care for minorities. They care about making money off of you! This won’t stop until people stand up to this abortion giant and say “NO MORE.” What will it take for these Black and Hispanic women to simply say, “We will not be used. We will not be your pawns. We will no longer be lied to. We are better than Planned Parenthood.” Kris Ford, an African-American woman who runs Women’s Health and Justice Initiative, said it better than I can. “Planned Parenthood has ignored the voices of women of color and the organizations that women of color lead for years. Planned Parenthood continues to raise large sums of money off of issues of reproductive justice while framing the issues as a binary that leaves out the experiences of women and communities of color.” It’s time to do something about it. Stop buying the lie. This entry was posted on Tuesday, August 26th, 2014 at 9:40 am	and is filed under News & Commentary, Uncategorized. You can follow any responses to this entry through the RSS 2.0 feed. You can skip to the end and leave a response. Pinging is currently not allowed.